Given the number of musicians in this city, it's kind of shocking how few stores there are selling music gear. 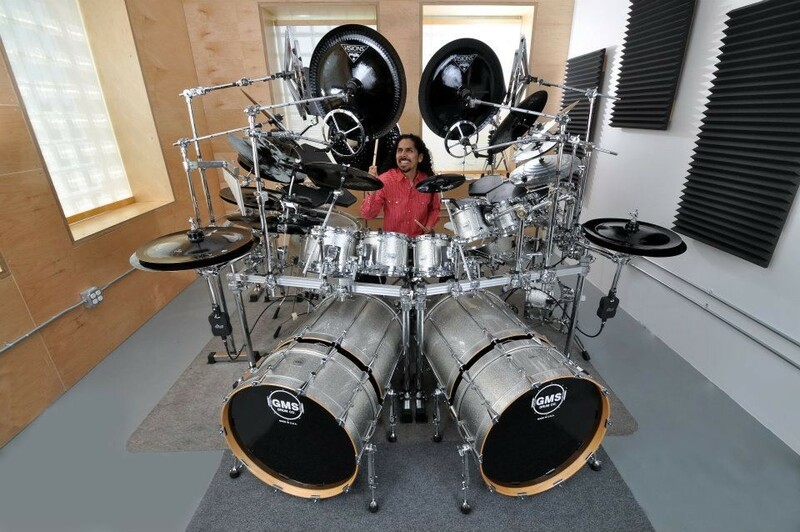 Shopping for equipment is even more of a challenge if you're a drummer. Shops are few and far between, and not always particularly practical when you do find them. For example, the new drum room at Chicago Music Exchange is beautiful, but unless you're a one percenter, you most likely won't be making much of a purchase. You'll probably wind up at Guitar Center, home of mediocre inventory and pushy salespeople. I've been playing drums for about 15 years, and since I started, my go-to shop has been the Drum Pad in Palatine. What made this place so great was its general manager, Victor Salazar. Salazar is a supercool, calm, long-haired 38-year drum veteran who's always been beyond passionate and knowledgeable. Salazar recently left his position at the Drum Pad after 16 years, but luckily for the drummers of Chicago, he's opening up his own place. Vic's Drum Shop is located in the Music Garage, a compound of rehearsal spaces and recording studios at 345 N. Loomis. The grand opening event is Sat 10/29 from 11 AM to 6 PM. Many acclaimed drummers are scheduled to appear and perform, including Terry Bozzio (Frank Zappa), Jimmy Chamberlin (Smashing Pumpkins), Jimmy DeGrasso (Megadeth), Mike Portnoy (Dream Theater), and John Riley (Miles Davis). Brad Bolt, mixologist at Bar DeVille, will be on hand as well, creating free cocktails with booze provided by Death's Door Spirits. Ben Hornor, who worked alongside Salazar at the Drum Pad for nine years, has signed on to be general manager of Vic's Drum Shop. He says that Salazar opened the store because he "felt it was extremely important to have a business where so many drummers already live and work. In fact, all of the Vic's Drum Shop employees currently live in Chicago. He felt it was a good time for the city to have a dedicated all-drum-and-percussion store again." From the photos that have been posted on the Vic's Drum Shop Facebook page, the gear being moved into the shop is the kind of stuff that makes drum lovers drool. The shop's showroom will have 50 kits set up and available to test. This is what the musicians of Chicago need: great gear offered by someone who really loves it. I'm excited.